Meyer Tool Participates in Girls STEAM Ahead Event - Meyer Tool & Mfg. 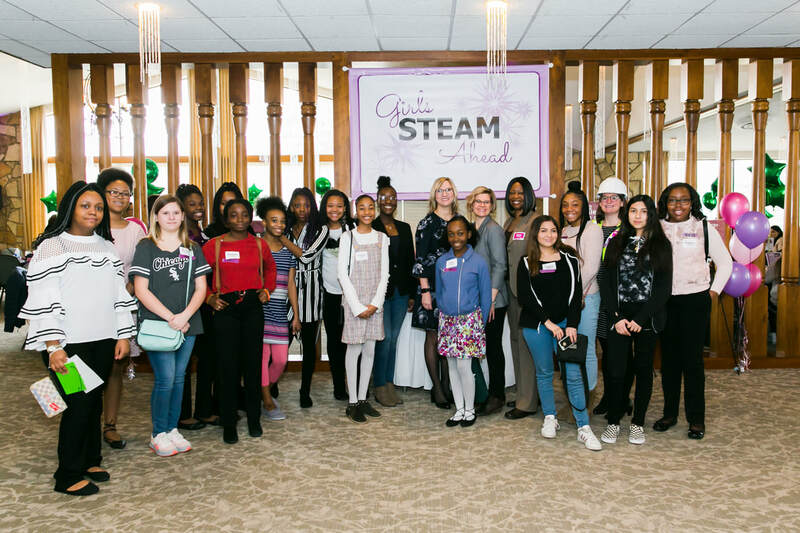 Meyer Tool President, Eileen Cunningham, participated in the third-annual Girls STEAM Ahead event held on the morning of March 2, 2019 at Idlewood Country Club in Flossmoor, Illinois. It was an incredibly rewarding experience to mentor a diverse group of young women as an advocate of careers related to engineering and manufacturing. At Meyer Tool, we are dedicated to making an impact on the world around us by participating in events that promote engineering and manufacturing careers to the next generation. 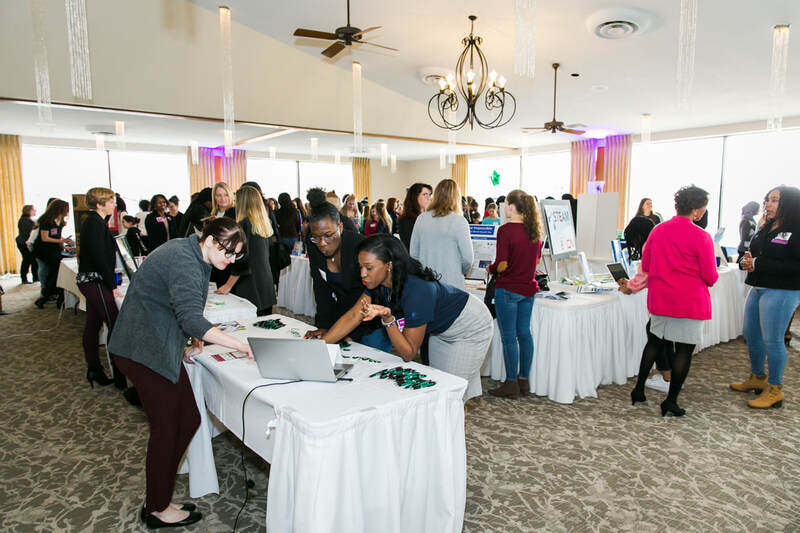 Girls STEAM Ahead is an annual, free roundtable luncheon that connects 7th through 12th grade girls with professional women in diverse STEAM fields – (science, technology, engineering, art and math). Girls build networking, goal setting, and communication skills with the guidance and mentorship of professional women in STEAM. 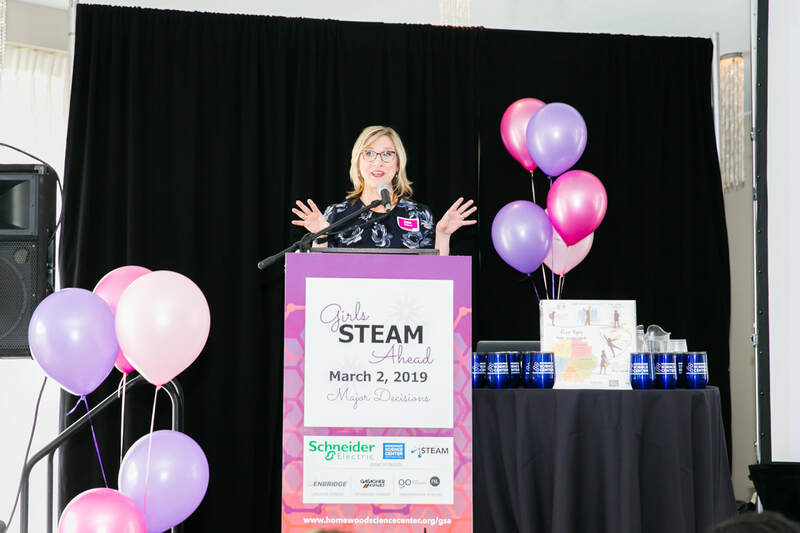 “Girls STEAM Ahead is designed to support young women who have traditionally been underrepresented in STEAM education and careers, so they will persist in their goals,” explains Homewood Science Center’s Executive Director, Edie Dobrez. The event commenced with showcasing professional projects by women of varying backgrounds in STEAM. Girls acquainted themselves with a wide variety of career options in these fields. Next, keynote speaker – Vicki Repsholdt – Vice President of Marketing for the U.S. Power division of Schneider Electric shared her story, describing critical decisions throughout her early years that contributed to her success. Attendees also participated in a hands-on engineering design challenge and concluded the day with panel question-and-answer sessions that were focused on actionable steps to become a future leader. At Meyer Tool, we take great pride in being a second-generation, woman-owned small business dedicated to servicing research and industrial based customers around the world for the last 50 years. As such, we place great importance in communicating the benefits of manufacturing careers to all who will listen. 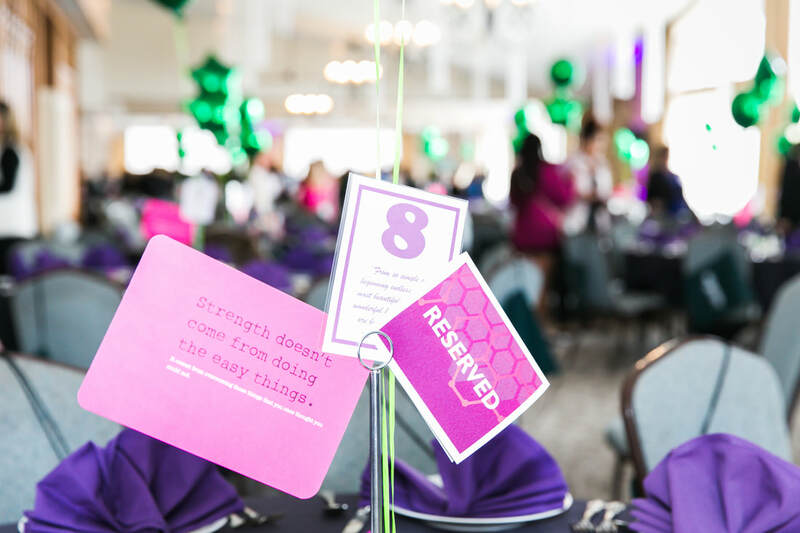 An event like Girls STEAM Ahead provides invaluable first-hand experience to the world’s next generation of women-leaders, helping them find and pursue their passions, with the belief there are no limits to what they can achieve!